A 33-year-old mother channeled her “inner mama bear” after discovering that her daughter was being bullied at school, and is unapologetic of the beating that she delivered to her daughter’s tormentors. Joanne Higgs says that her daughter was the victim of an online bullying and harassment campaign that was started by her fellow schoolmates. She said that the school failed to protect her daughter from bullies, and was forced to pull her daughter out of the school after an attack caused her to fear for her daughter’s safety. Yet it did not stop there. Higgs told the Manchester Evening News that the kids continued the abuse against her daughter, and began throwing eggs at her house. Higgs says she arrived home one day and saw a group of kids surrounding surrounding her house, and that she could here at least two people screaming inside the home. She claims that she called the police, but they failed to arrive in time. 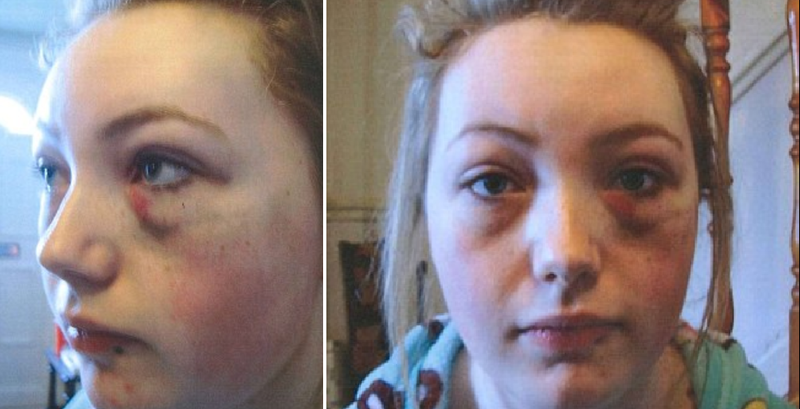 The mother got into a scuffle with the teenagers, punching and kicking 13-year-old Lilly Hulse. 15-year-old Dominique Nash was reportedly not a part of the gang of teens that were bullying Higgs’ daughter, but was nearby when the mother began the assault on Hulse. Nash intervened, and was pushed to the ground. She suffered from a black eye. Initial reports varied, with some claiming that Higgs was joined by two unidentified male adults who aided her in attacking her daughter’s bullies. However, Higgs maintains that she acted alone and that she is fully responsible for her actions. Higgs was found guilty of two counts of assault, but avoided jail-time when she was given a 15-week suspended sentence. She was also reportedly ordered to compensate the victims. Higgs is hoping to put this unfortunate situation behind her. Social media seems split on this one, with some calling Higg’s actions simply a matter of a “mama bear” protecting her cub, while others are appalled at the idea of a “vigilante” mother taking matters into her own hands. How do you fall on the issue? Let us know.